Nyce Wanjeri popularly known by her screen name Shiru and her husband are going through a tough time in their marriage. He added that the two are just taking time to figure things out. IT IS BETTER WE TAKE TIME TO FIGURE OUT WHAT IS UP. ASK YOURSELF WHY THE POST IS NO LONGER THERE. 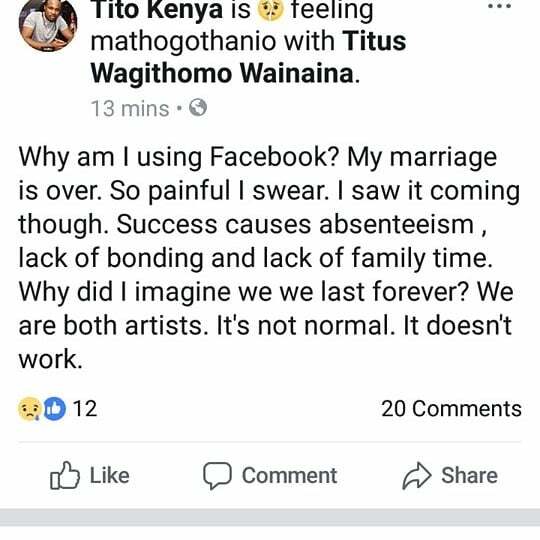 AT TIMES NOT EVERYTHING WORKS, WE HAVE OUR UPS AND DOWN WHICH IS NORMAL. I MAY HAVE ACTED OUT OF THE FEELINGS I WAS FEELING AT THAT TIME BUT ITS SOMETHING WE ARE HANDLING. 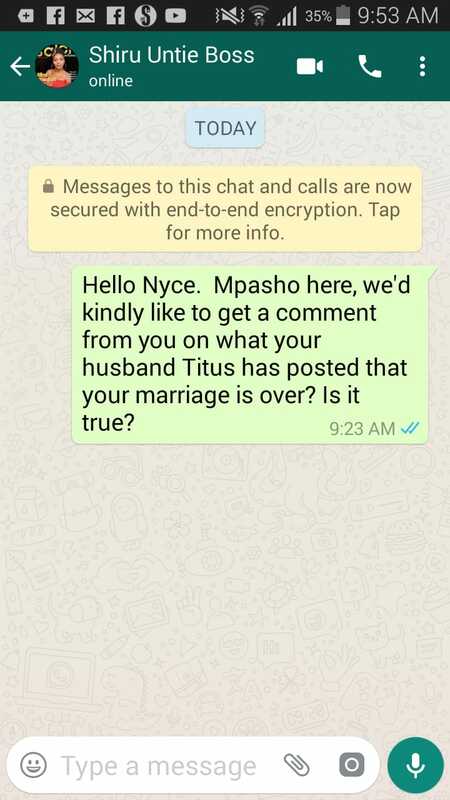 When we reached out to Shiru, real name Nyce Wanjeri our calls and WhatsApp messages went unanswered. She, however, blue-ticked our message meaning she had read it. Could all this be because of the Africa Magic Viewers’ Choice Awards? Nyce won the best actress in a comedy beating bigwigs in the industry all over Africa. After that, she has been getting major gigs which of course got her busy and probably less family time as Tito said. We do hope things will work out for them.